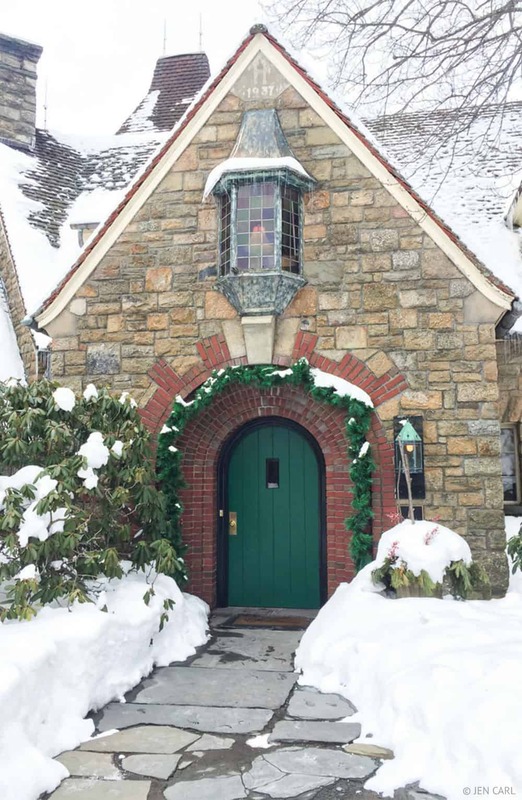 Nestled in the Pocono Mountains and perched atop a mountain, lies the French Manor Inn and Spa. Slightly out of place in rural Pennsylvania, this magnificent resort is the closest you can get to a chateau in France without ever heading across the pond. In desperate need of a weekend getaway, my husband and I packed up the car, dropped our son off with the grandparents and headed north. About a two-hour drive from Philadelphia and New York City, the small town of South Sterling is just far enough from the city to feel as if you are away but without the drive. As we were approaching the road leading to the hotel, it started to lay more fresh snow on the roads. The trees were covered, and as we winded up the resorts long, windy road, it was magical driving in the moonlight through a grove of perfectly frosted trees. As we approached the main building, I instantly felt like I transported to the French Alps. I couldn’t think of a better setting to have a romantic couples weekend than here at the French Manor. From the moment we walked through the antique rounded wooden door into the main building, which also houses the restaurant, I was in love. The friendly front-desk staff gave us a brief history and a warm welcome. She also arranged for our breakfast in bed for the next morning. Another employee walked us to our room, the Nice Suite. Beautifully appointed with lovely decor, a jacuzzi tub, cosy fireplace and sweeping views of the Pocono Mountains. After a comfortable nights rest, we were up and ready for the day. Our breakfast in bed arrived on time and was delicious. We chose the french toast, and an omelette served with fresh fruit and some of their fantastic coffee cake! We then headed down to the spa where they offer a small selection of relaxing treatments. Courtesy of my in-laws, we enjoyed our hour-long couples massage in the fireplace room. This deep tissue massage was just what the doctor ordered, and the essential oils used kept my skin moisturised for days. 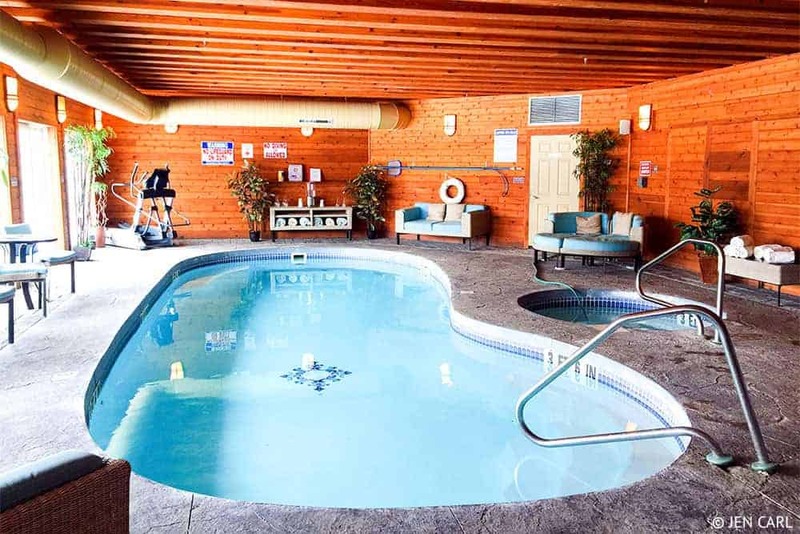 After our decadent massages, we decided to lounge by the indoor pool, located right outside the spa to relax and take a dip. From the pool, you could enjoy the snow falling and get a panoramic view from the top of the world. We decided to explore the surrounding areas a bit and headed down off the mountain and into Bartonsville. This area is full of cars on the weekends, but it is also chock full of activities and places to visit. We stopped at The Crossings Shopping Outlet centre to do some shopping as well as some of the other shops in Stroudsburg. After some shopping, we headed back to the manor for dinner. 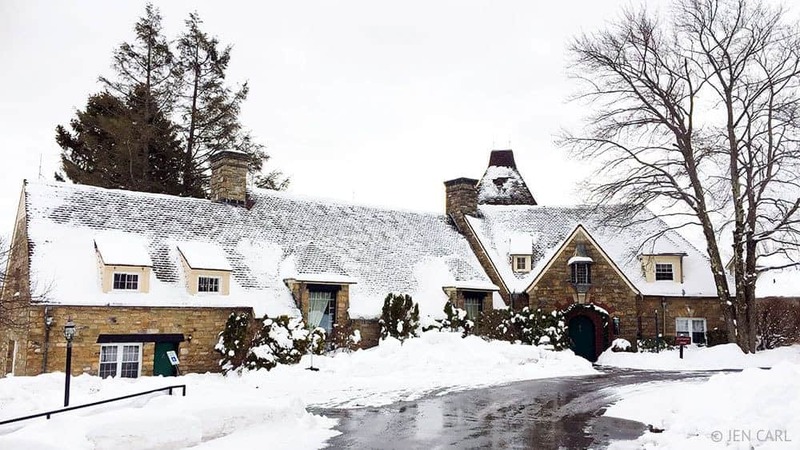 You can’t stay at the French Manor Inn and Spa without taking advantage of the award-winning restaurant headed up by Chef Adam, a Pocono-native and Johnson and Wales trained culinary master. This restaurant has received many accolades including being featured in Gourmet Magazine as one of Pennsylvania’s Best Restaurants. It’s one of the Poconos only four-diamond rated restaurants. Bring your appetite and wallet for your meal. 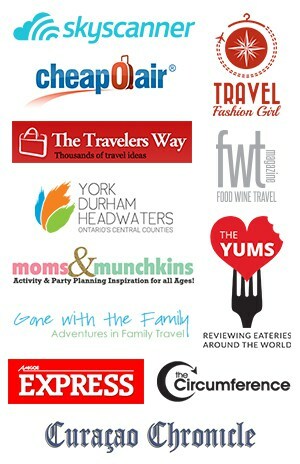 The full experience will run two people between $150 and $200 for appetisers, entrees, desserts and drinks. When we arrived in the candlelit dining room for the formal dining experience (jackets requested), it was quaint and cosy sitting next to one of the grand fireplaces with a full view of the snow-capped Poconos. After enjoying some wine, we enjoyed freshly baked rolls with lavender and honey butter. We started with the Duck Croquettes which came in perfect presentation. After followed pate on crostini, an unexpected delight compliments of Chef Adam. For the soup course, we opted for the Lobster Bisque, which was creamy and flavorful. Then, on to the main course. I was expecting small portions after the appetiser, but the main course was anything but. We received generous servings of both the filet and lobster with the Terre et Mer dish. The Perigueux Sauce was rich and flavorful and complemented the meal beautifully. Even though the main course was filling, we opted to share their speciality, the Chocolate Napoleon for dessert. 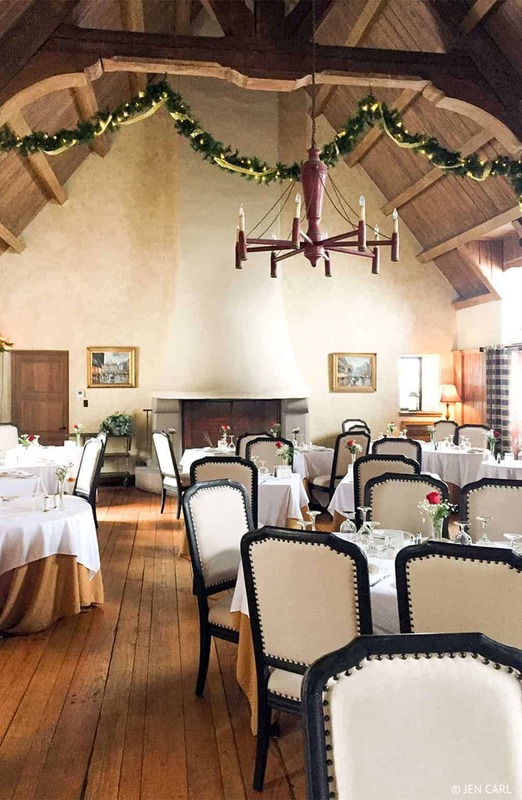 The French Manor Inn and Spa was the perfect place for a quiet and cosy couples retreat. With only 19 rooms, it was peaceful and quiet and except for the other diners at the restaurant, the spa visitors and the other cars in the parking lot, we felt as if we had the place to ourselves. We also got a chance to meet our lovely attendant, Zorka, who kept us stocked with wine, Godiva Chocolates and . With amenities like a hotel, but the personalised attention of a bed and breakfast, we left the resort planning our next trip back. The time of year makes all the difference when visiting here. 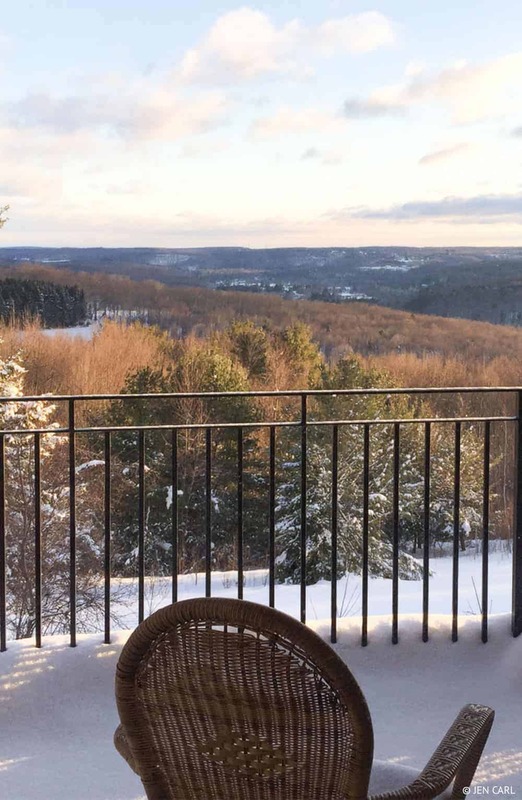 Although the views are magnificent in all seasons; the Poconos are in their glory during the fall and in the thick of winter. The foliage in the mountains is gorgeous in late fall. If you are lucky enough to be here when it snows, it’s magical but be sure to bring your four-wheel drive if you decide to head out in the winter as the mountain roads leading to the resort can be a bit challenging in the snow. Staying at the French Manor Inn and Spa is a bit of a splurge, but they do have great packages depending on what type of stay you desire. 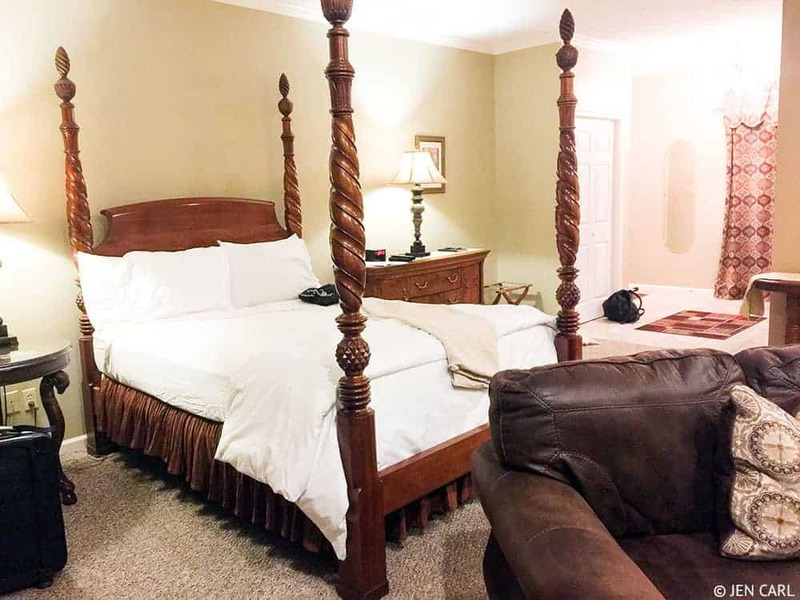 Weekday stays are more reasonable and be sure to stay glued to their Facebook page as they have been known to run last minute specials. 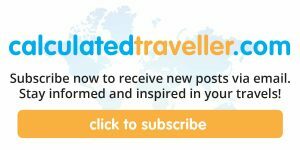 At an early age, Jen caught wanderlust from her grandparents, who were world travellers well into their retirement. She remembered getting postcards from them from far off places and couldn’t wait to head out on her own adventures, although she ended up being more a road trip gal herself. Now her family enjoys packing up their RV and exploring campgrounds and destinations in the eastern US and this summer she will be taking her nine-year-old on an epic cross-country train trip. When not travelling or being a lacrosse mom, her day job is helping online entrepreneurs rock their businesses with digital marketing and virtual assistance services. Jen’s home base is in the Lehigh Valley, PA outside of her favorite city, Philadelphia.